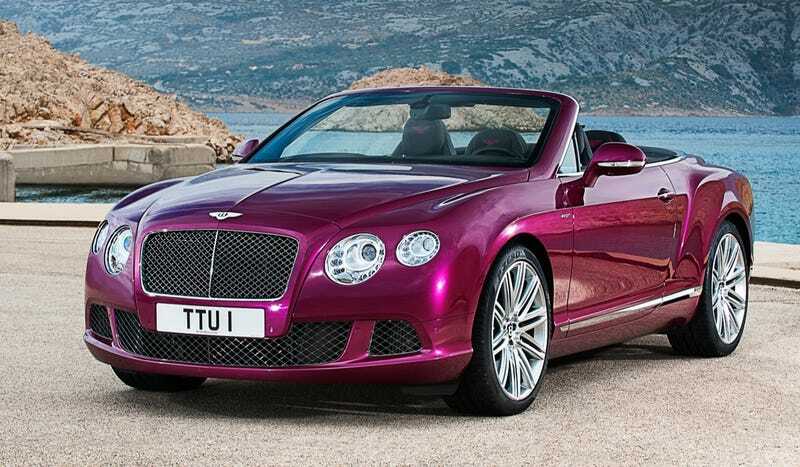 The first photos of the droptop Bentley Continental GT Speed have emerged tonight, and it sure is pretty. And purple. Like all Bentleys, we can expect this to be huge, heavy, obscenely fast, and very, very expensive. Like its hardtop brother, the Speed version should have a 6.0-liter W12 engine good for 616 horsepower. Is it fast? It's called Speed, isn't it? Duh. Click here to see more photos. Then tell us — what do you think of the new Continental GT Speed 'vert?